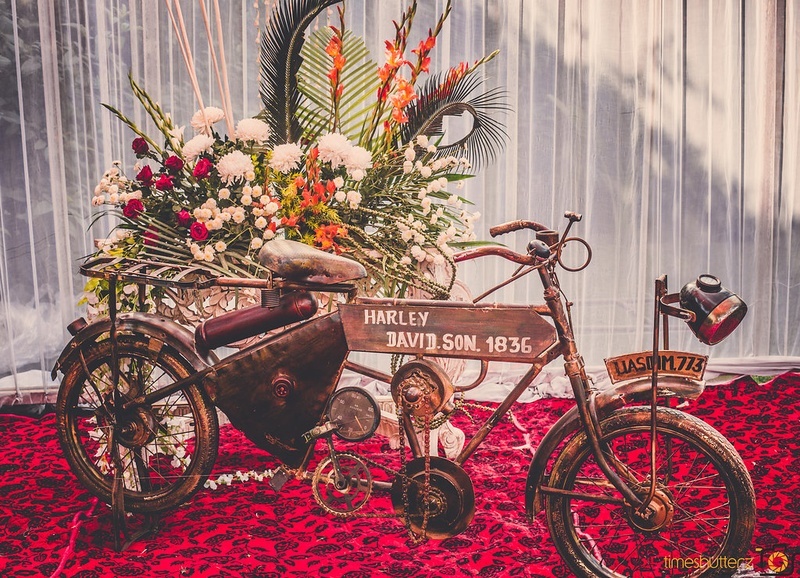 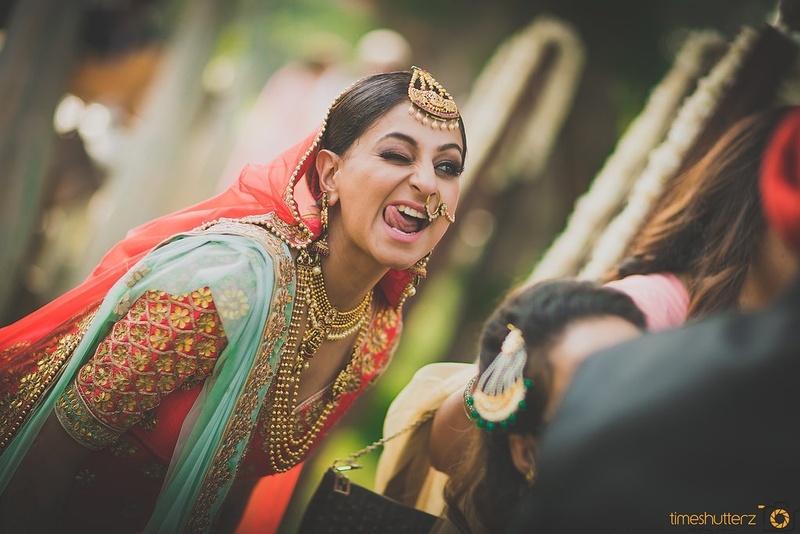 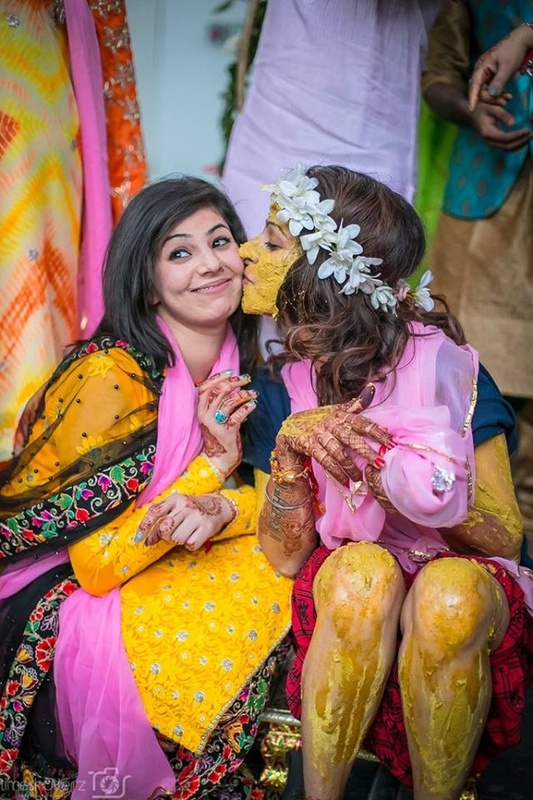 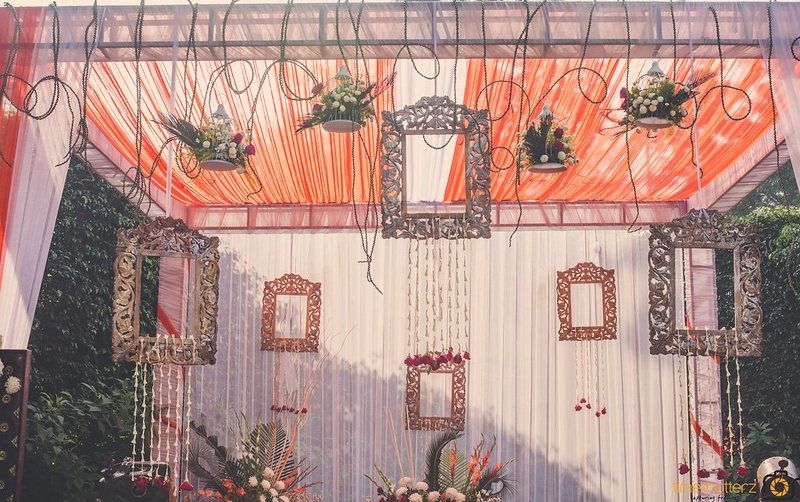 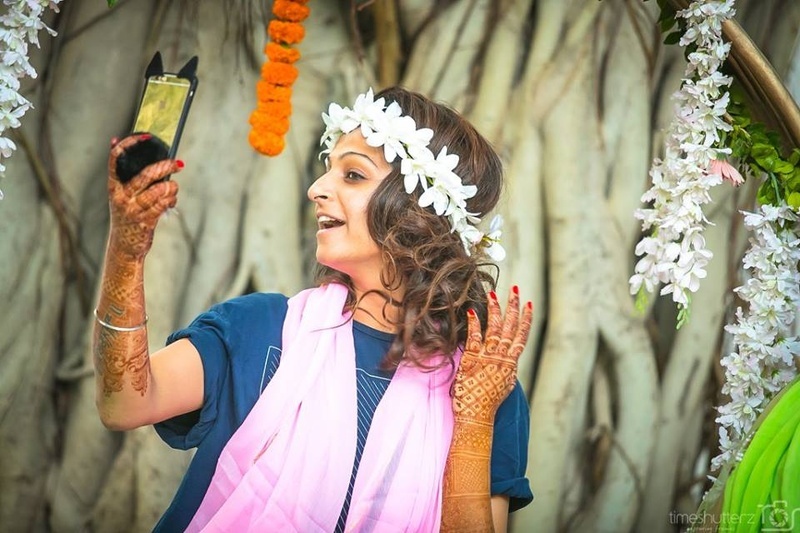 Vibrant colours, quirky decor and a smiling bride - we love everything about the mehndi ceremony of Deepjyot and Sabir. 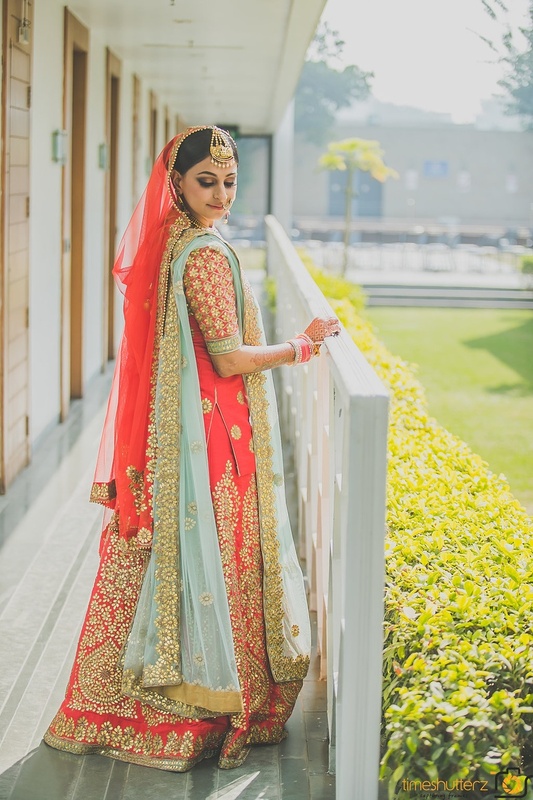 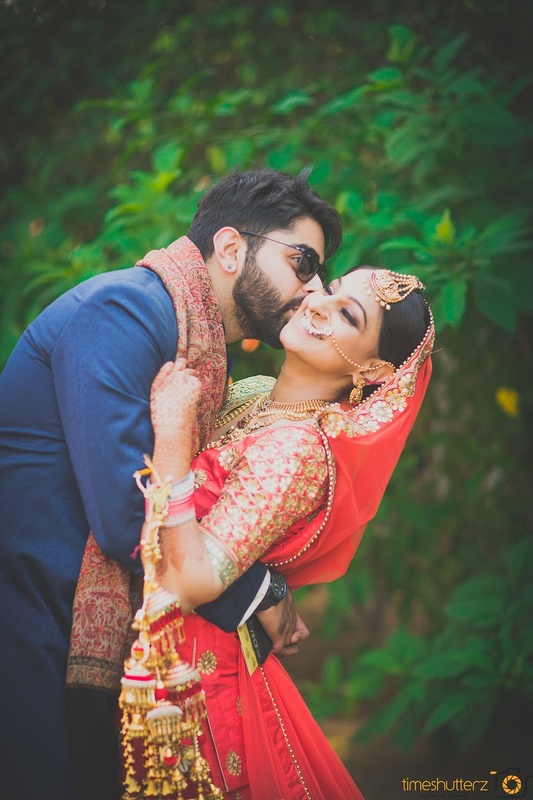 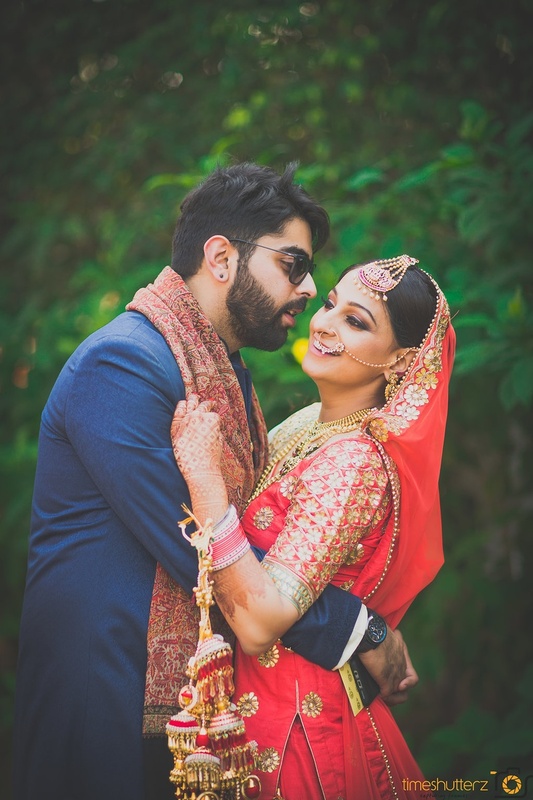 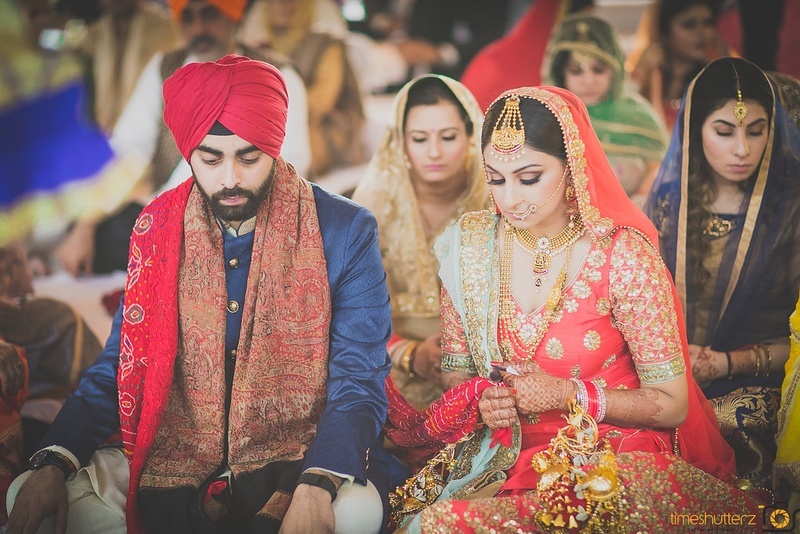 For the wedding, the bride looked radiant in a gorgeous lehenga by Pratishtha - The Label and the groom complemented her in a dapper wedding outfit in blue and a red pagdi. 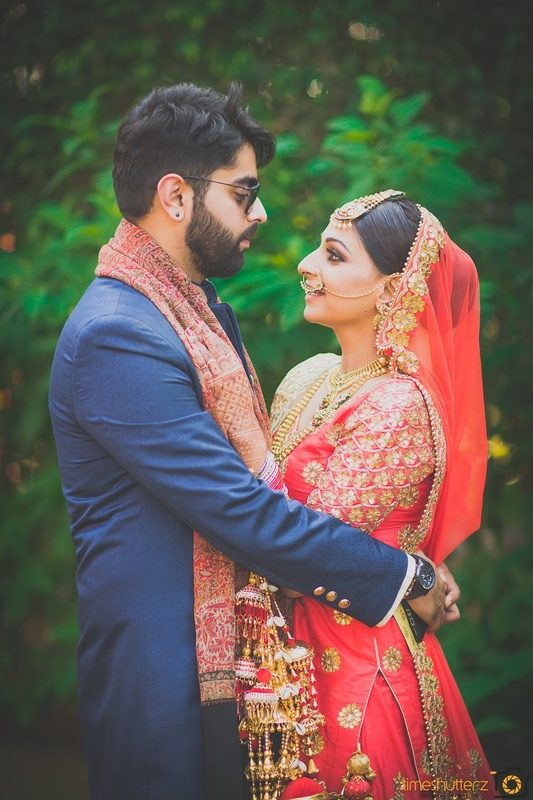 The duo looked absolutely royal during their day time wedding and we can't take our eyes off this beautiful wedding! 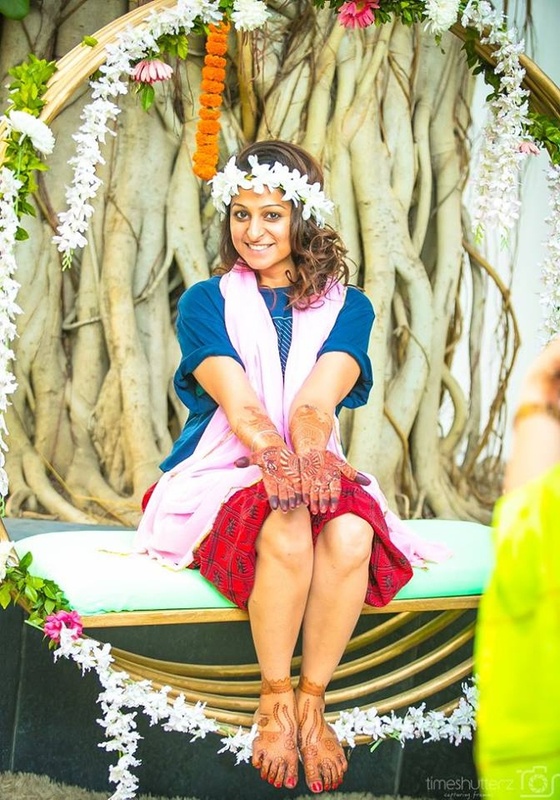 Deej on her mehendi day! 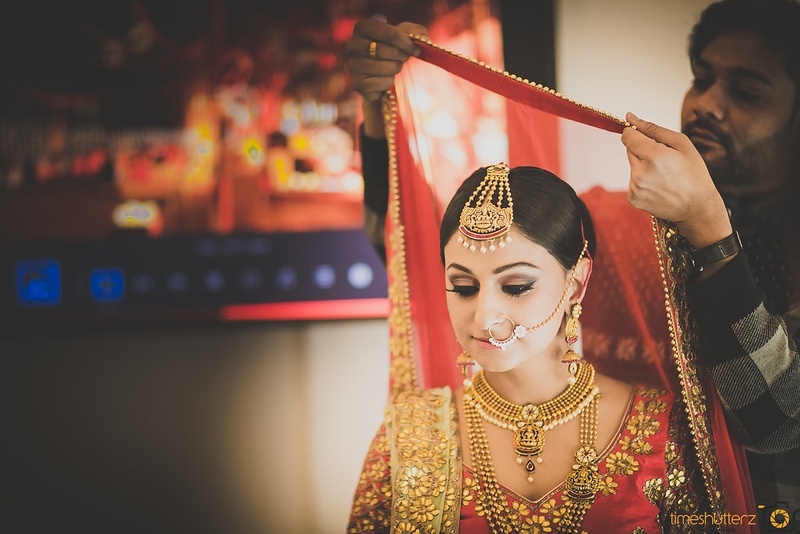 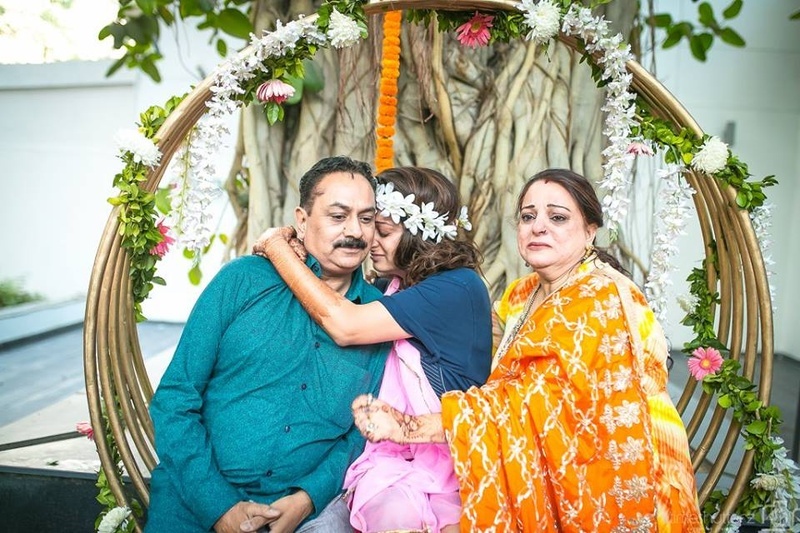 Emotional moments captured by the team at Time Shutterz Photography. 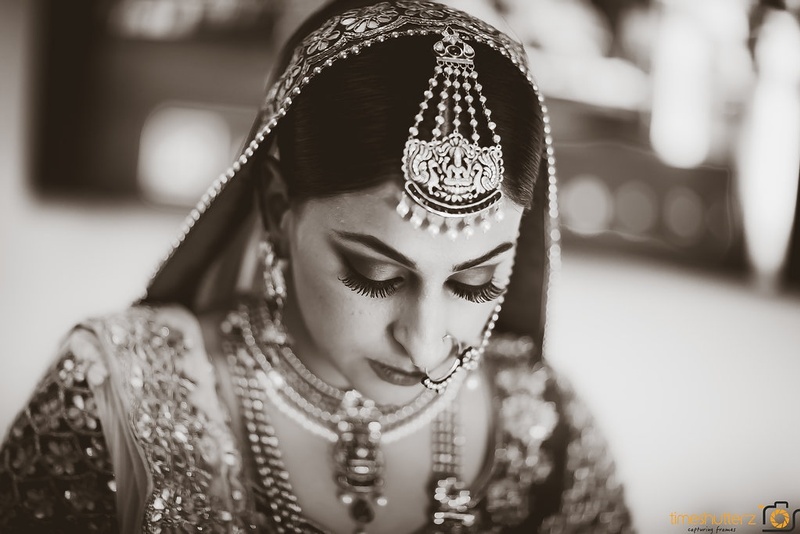 Adorned in cute white floral tiara. 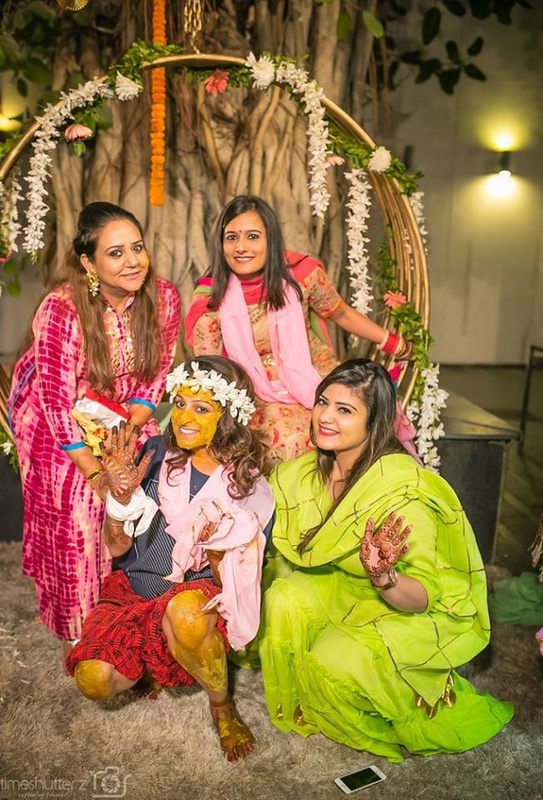 Deej and her pretty bridesmaids on her haldi and mehendi day. 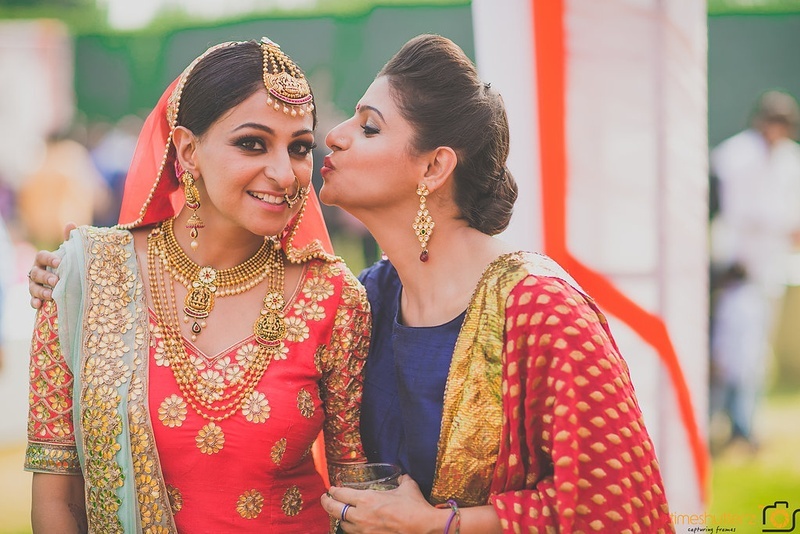 Deej and her sister's cute moment captured by Time Shutterz Photography. 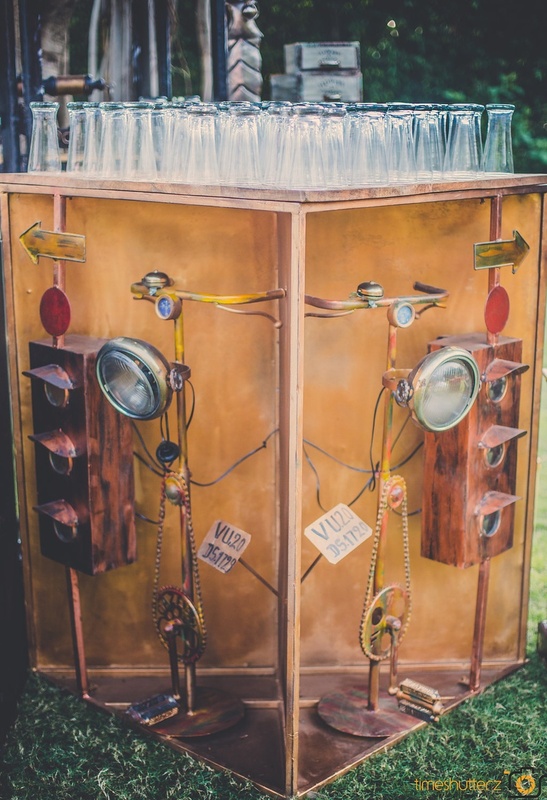 Rustic cycle installed for a photobooth! 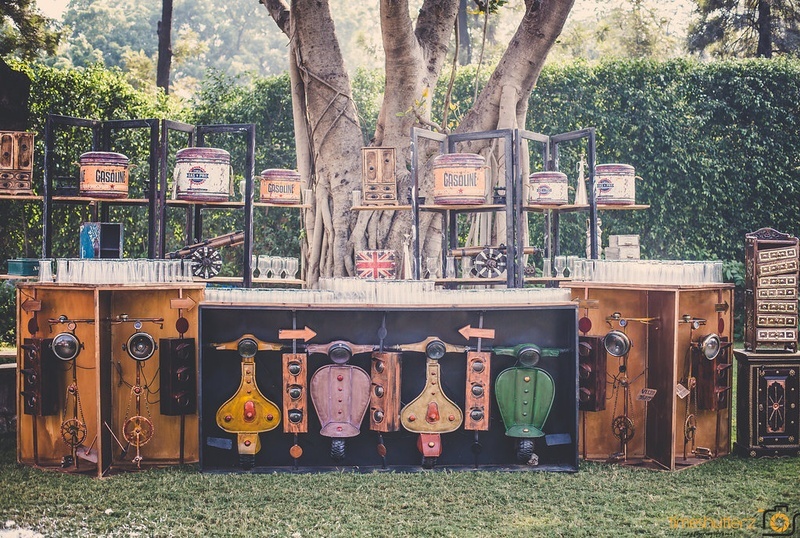 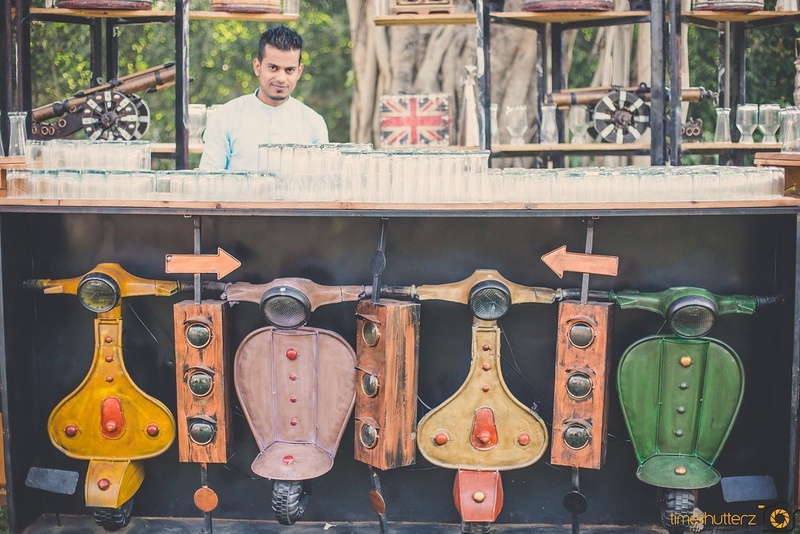 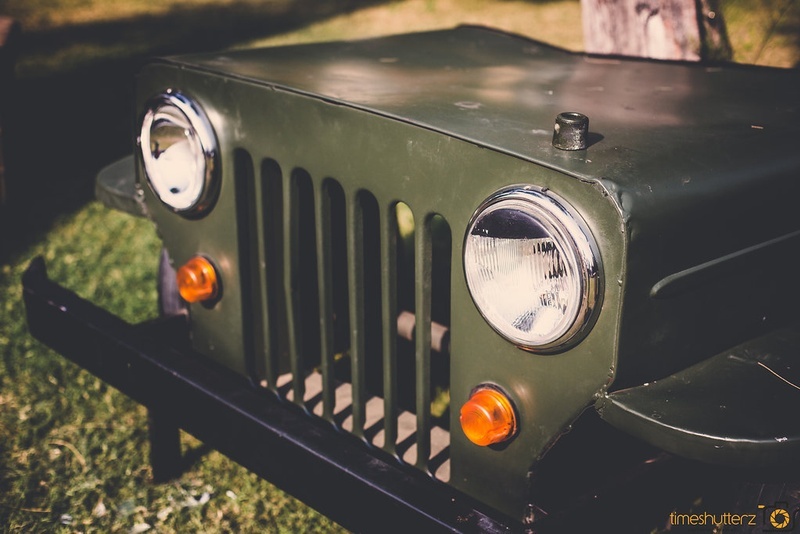 Rustic bar decor for the wedding day. 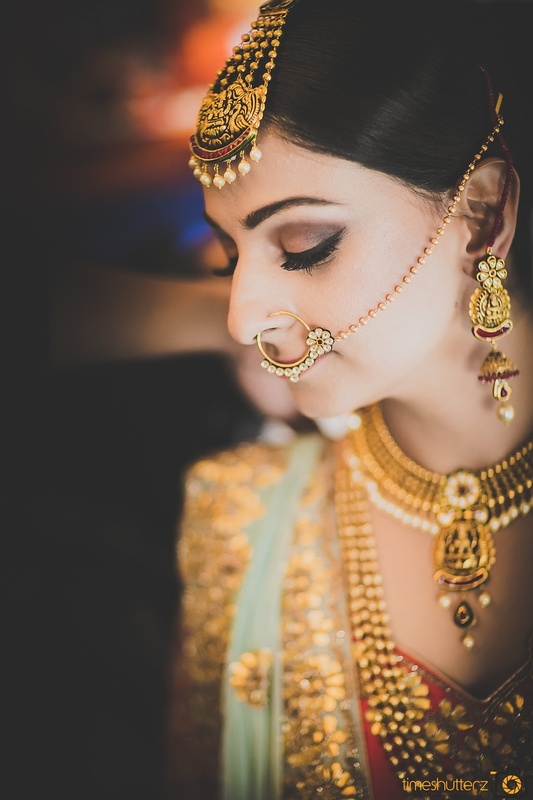 Kundan and gold nose nath for the wedding day. 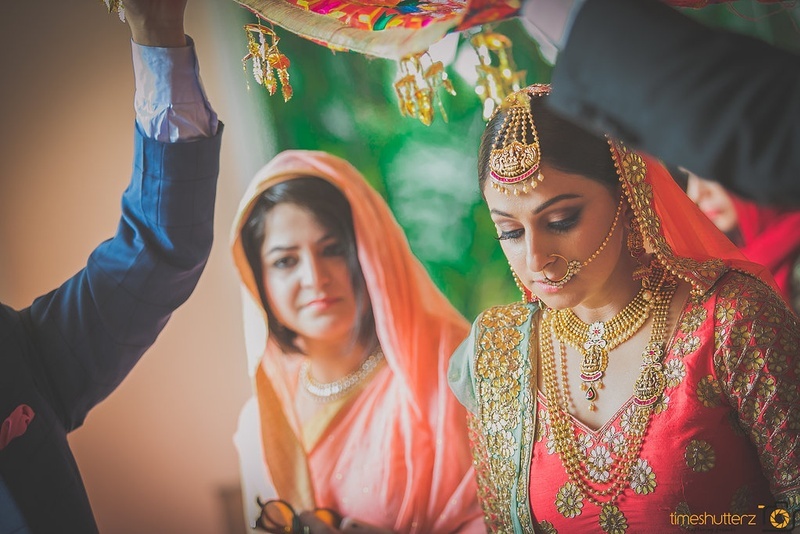 Wearing a beautiful gold and pearl passa as a maang tikka. 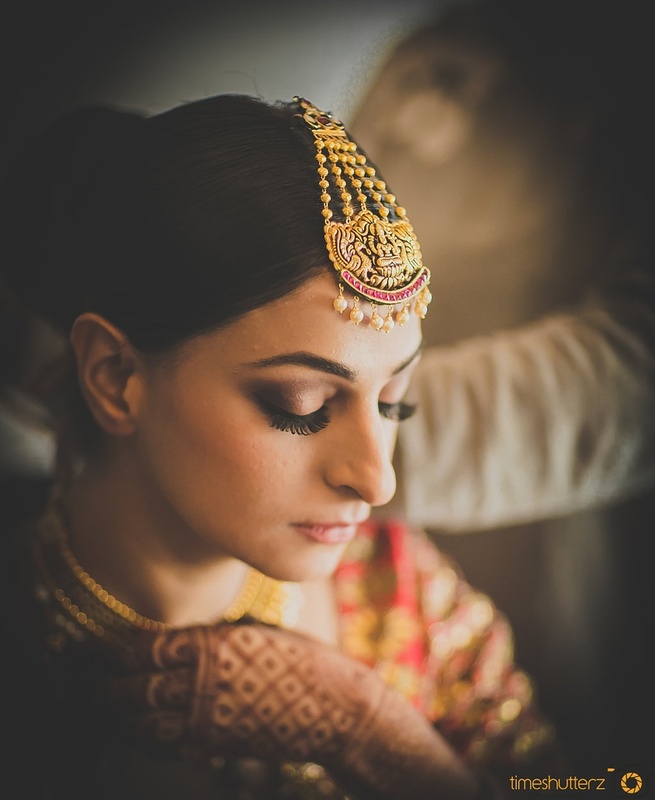 Adorned in beautiful bridal jewellery for the wedding day. 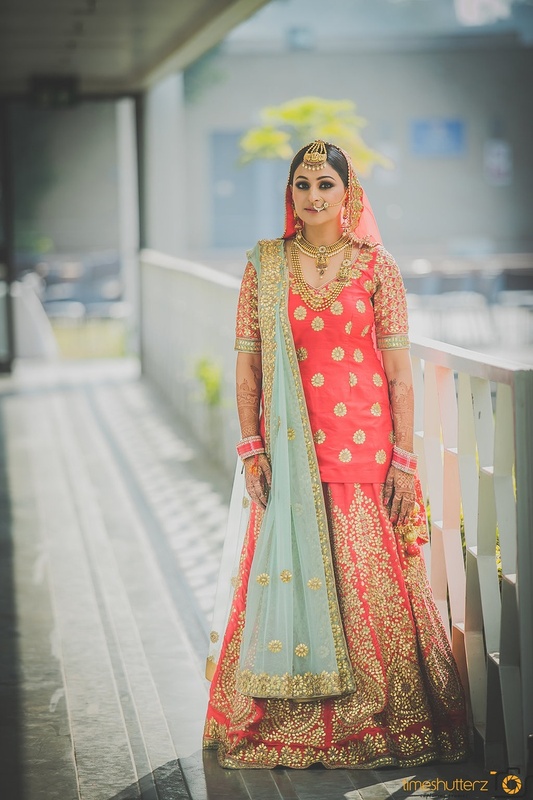 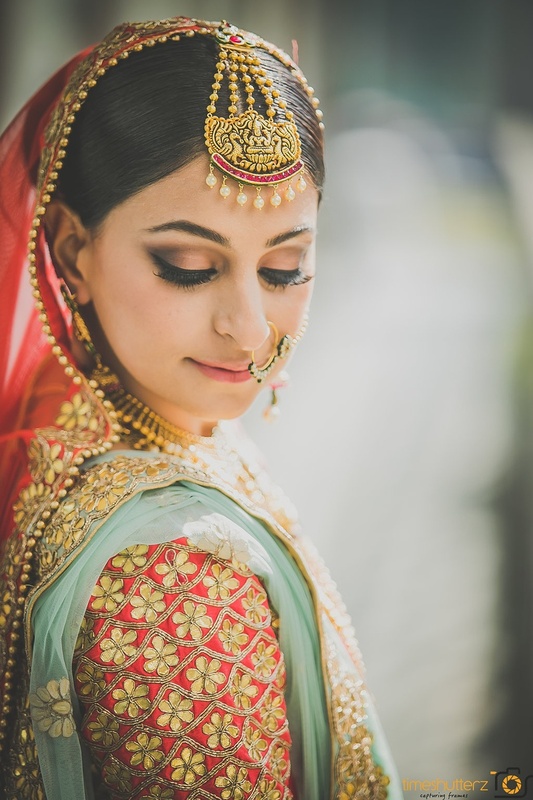 Elegantly decked up in a neon peach and sky blue lehenga styled with awesome bridal jewellery for the wedding day. 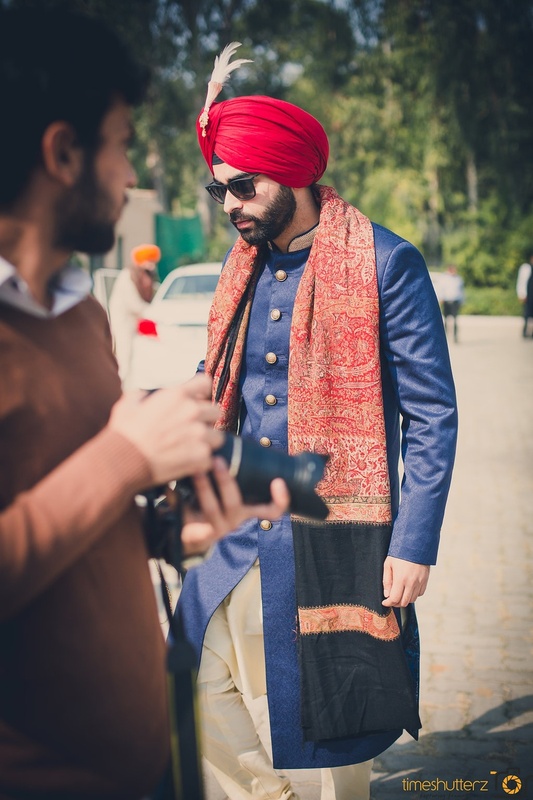 Sabir looking dapper in a royal blue sherwani and a blood red turban. 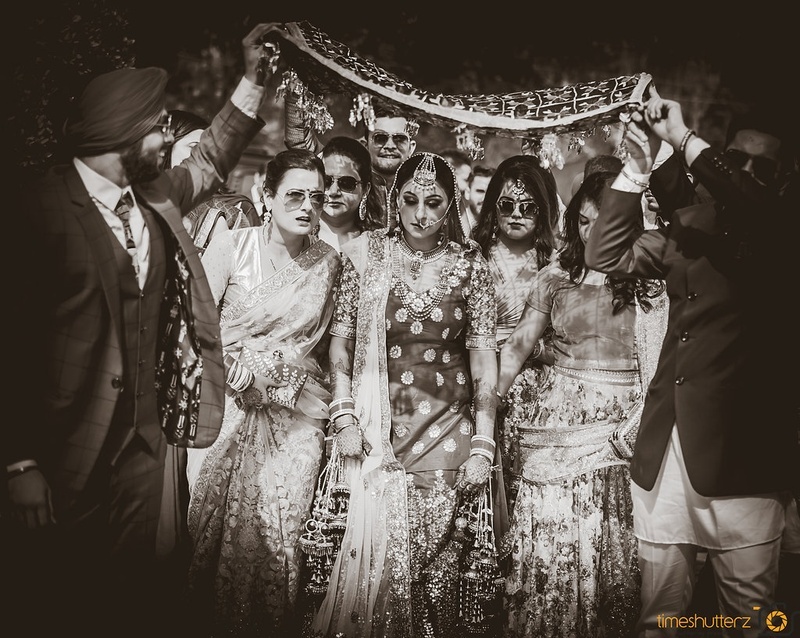 Black & White photography by Time Shutterz Photography. 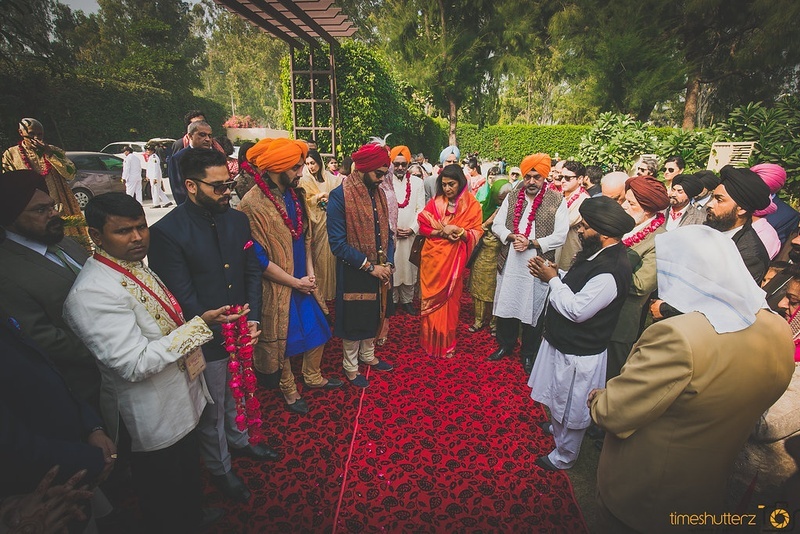 Wedding ceremony held at Amaara Farms, Chattarpur, Delhi. 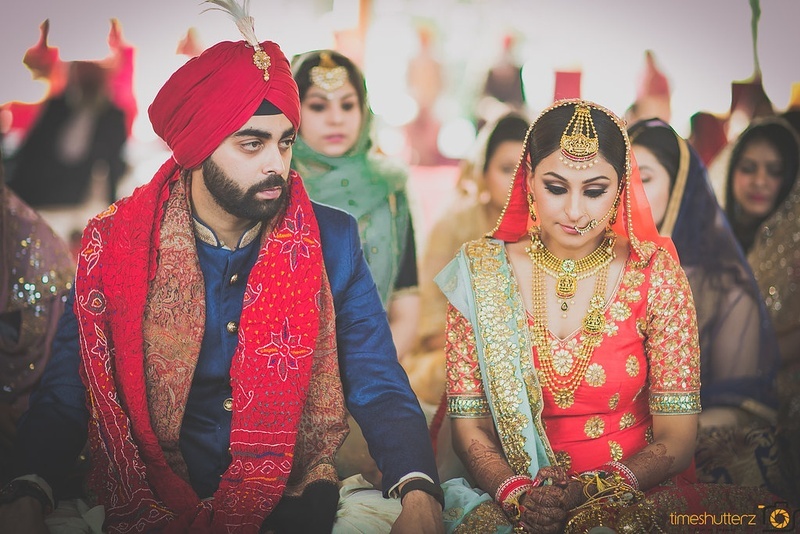 Complementing each other with colour coordinating outfits for the wedding day. 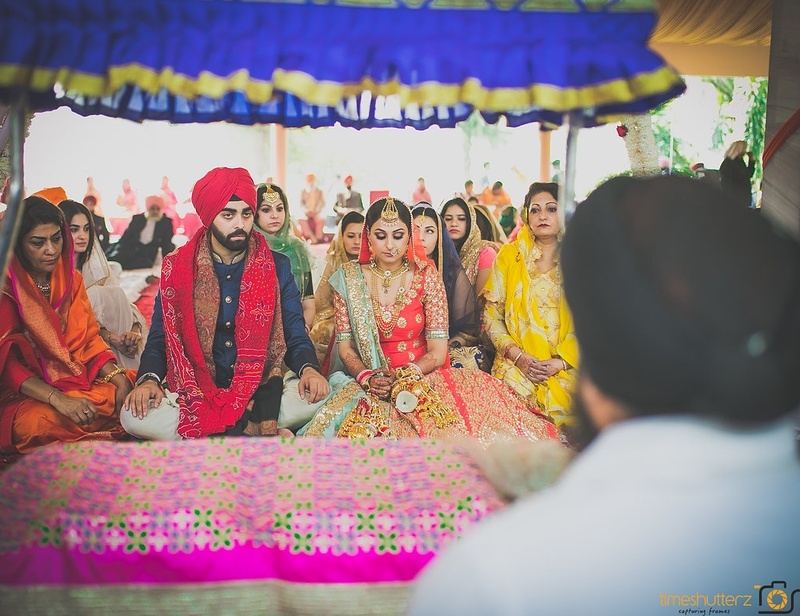 A memorable affair captured by Time Shutterz Photography. 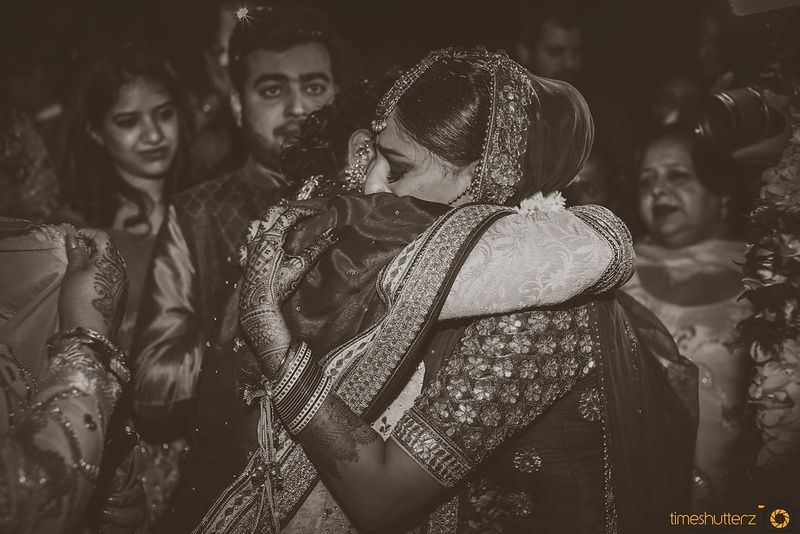 Emotional vidaai moment captured beautifully by Time Shutterz Photography.